Laura Langheinrich, YouTuber, Podcaster & Student Entrepreneur. September 2016 - Full of fear and excitement, with a one way ticket to Scotland, about to embark on the biggest adventure of my life. Hi, I am Laura, I am a German small town girl and at 18 years old I decided to study abroad full-time in Scotland. I clearly remember that time 2,5 years ago when I told my mum out of nowhere: “Mum, I think I want to study abroad.”. It was literally a decision of seconds. I always knew I wanted to go abroad after school but I never actually considered REALLY doing it. I remember my mums face. That feeling of an insane high overwhelmed me – a feeling of total excitement and absolute terror. I rushed home that afternoon and started researching studying abroad. The next day I was looking up university choices. A week later I was writing my application. 6 months later I got an offer from my first choice university. 9 months later I moved to a country I have never been before, all by myself, knowing NOBODY. 2,5 years later I live and study abroad, and I am a completely different person. Should I just ditch my travel plans and study at home like everyone else? Many people were very skeptical about my decision to study abroad and assured me that I had probably made the wrong decision and that I would be very homesick. And obviously when moving to a foreign country, you have never been before, all by yourself, it is normal to overthink your decision. I also had some moments when I was questioning my plans and when I thought that it might just be okay to ditch them and to study in Germany like all of my friends do. But those moments of uncertainty were then outweighed by the fact that I had worked so hard to get this place and that not many people get this far and are able to do what I was about to do. However, studying abroad and living your own freedom life gives you so much more than you’d ever think. And the word count for this article isn’t enough to tell you even half of the pure bliss study abroad brings to me every day. YES, making the decision to study abroad was scary. YES, people told me not to do it. And yes – I didn’t feel 100% ready. Just between you and me… you will NEVER feel 100% ready and things will NEVER be 100% perfect. You just need to do it anyway. You need to feel the fear and do it anyway. Because those things that really scare you, those choices that seem so hard to make; they are the important ones. They are the ones that will change your life. Because life really begins at the end of your comfort zone. Laura set herself the mission to empower small town girls from all around the world to step outside their comfort zones and create their own freedom life, just like she did. 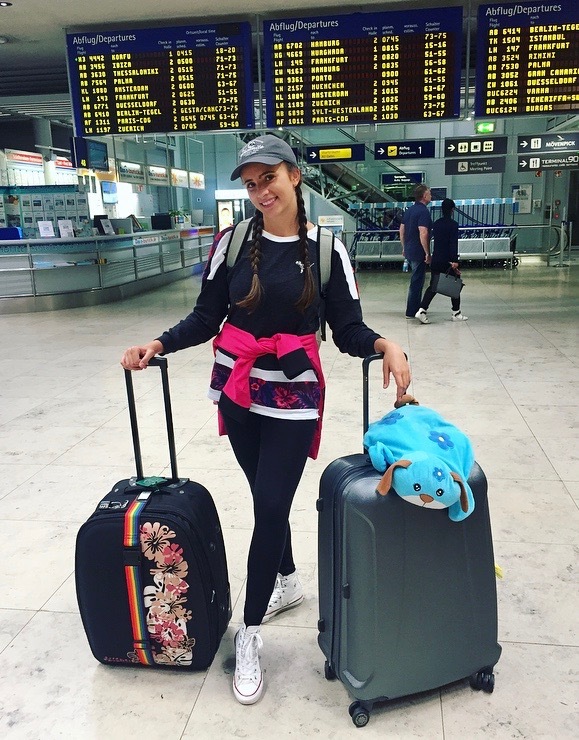 She shares her study abroad experience, travel adventures and her journey of becoming a location-independent entrepreneur on her own YouTube channel. Laura founded a Facebook Community called “Girls Study Abroad” to give other brave, adventurous, curious girls a place for encouragement and connection. Join and get the motivation to not only study abroad but to bring freedom and adventure into each and every part of your life. Laura is a 19-year-old student entrepreneur, YouTube influencer and host of the "Digital Diamonds" podcast. Born and raised in Germany, Laura is a full-time university PR student in Scotland and documents her study abroad journey on YouTube. With her expertise in YouTube and Social Media, Laura helps female entrepreneurs to build successful YouTube channels for their business and show up with confidence & personality online.